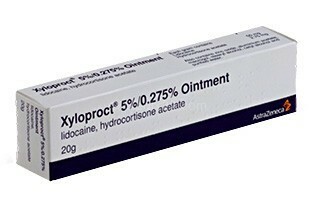 Xyloproct is a combination of two active ingredients, being lidocaine and hydrocortisone. Lidocaine, also known as lignocaine, is a local aneasthetic and causes pain relief. Hydrocortisone is a corticosteroid which reduces inflammation, itching, pain and swelling.